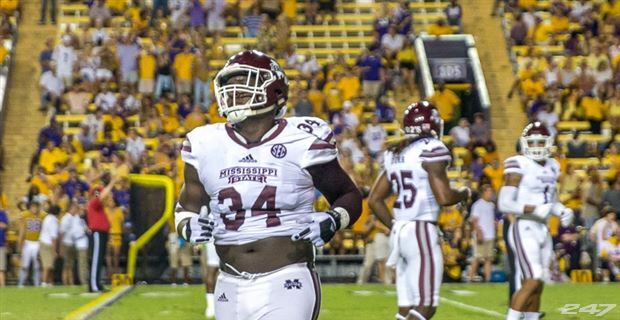 The defensive line is easily the most loaded part of Mississippi State’s roster, boasting NFL caliber talent across the board. Senior defensive end Montez Sweat is widely expected to be a first round draft pick once the season is over, and Junior defensive tackle Jeffery Simmons will likely be a first or second round draft pick if he decides to pursue a career in the NFL after this sesason. 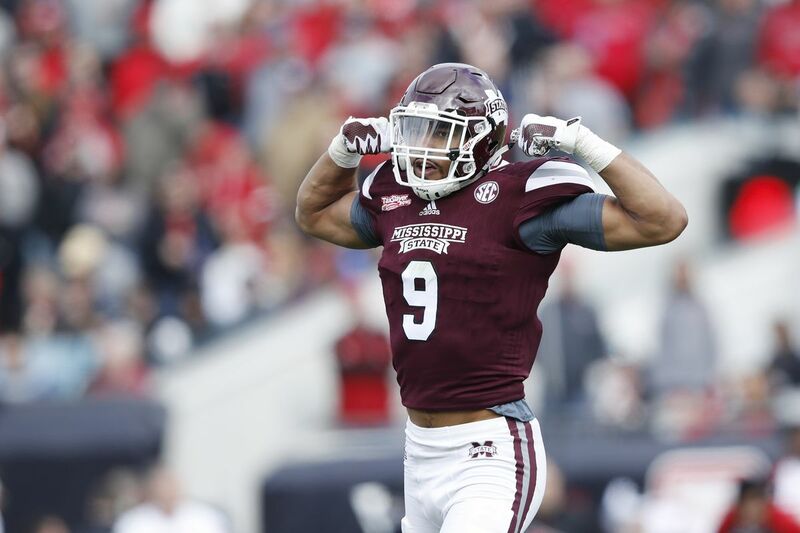 However, those two guys aren’t the only talents on the defensive line, and they definitely aren’t the only talented defensive ends to come through Mississippi State. The Bulldogs have produced NFL talents such as Fletcher Cox, Chris Jones, Preston Smith, and several others. Mississippi State’s defensive line should be the best in the SEC and one of the better units in the country. After starting his college career off at Michigan State, Montez Sweat decided to go the JUCO route, and he hasn’t looked back since. Last year in his first season at Mississippi State, Sweat tied for the most tackles for a loss and the most sacks among all SEC players. His incredible speed for his size led him to sack the quarterback 10.5 times. There is no doubt that Sweat will have another fantastic year of terrifying opposing quarterbacks, running backs, and offensive lineman all season long. Gerri Green will be the defensive team captain in 2018, and his unique skill set makes it very likely that he will be on an NFL roster in 2019. He has spent the last 3 years terrorizing opposing offenses, but this year will be a change for him. In his previous years as a Bulldog, he was seen as an athletic edge rusher, but this year under new defensive coordinator Bob Shoop, Green has made the transiton to be a defensive end rather than a line backer. With that being said, I think it is still very likely that Gerri may help out and drop back in coverage, considering that Bob Shoop’s defensive scheme will leave only 2 linebackers on the field at a time. This should be an exciting senior year for Gerri Green as he plans to pave his path to the NFL. Chauncey Rivers is a very exciting additon to the depth of the defensive line. He would have been a huge factor on the defensive side of the ball last year, but he had to take an academic redshirt. Rivers is from the same high school as former Bulldog Preston Smith, and their play styles remind me a lot of one another. Both are big guys who are still fast and aggressive. I expect Chauncey to get a heavy amount of playing time, but he will have to compete with Montez Sweat and Gerri Green. Even though it isn’t likely that he will be a starter, look out for Chauncey Rivers this season. 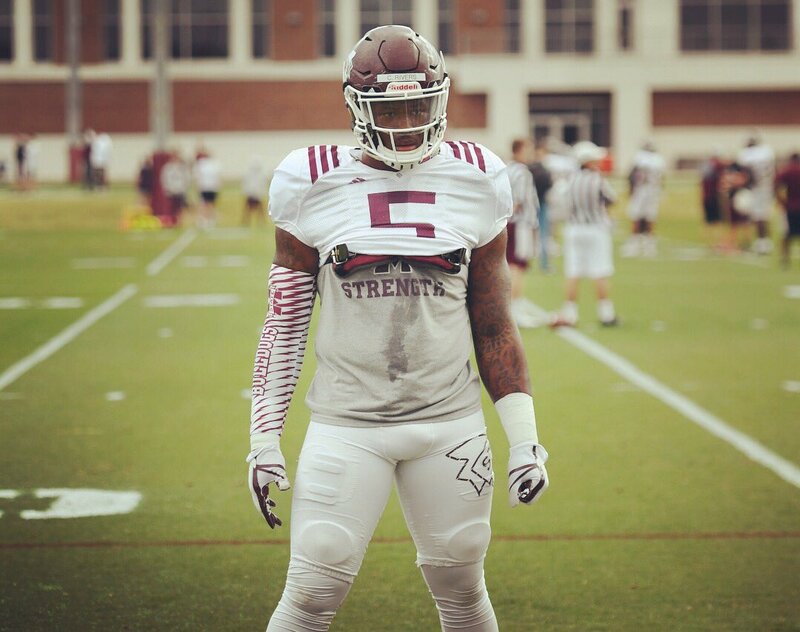 Jeffery Simmons is arguably the most talented guy on the Mississippi State defensive line. Honestly, he is the reason that guys like Montez Sweat and Gerri Green have the exceptional level of success that they do. At 6-4, 300 pounds with just 15% body fat, Simmons soaks up double teams and even triple teams to give his teammates lanes to the opposing backfield. The deadly duo of Simmons and Sweat is the first ever All-SEC duo to return the following year. With his great strength and insane athleticism for his size, look for Jeffrey Simmons to make several big plays this year despite being outnumbered nearly every play. Senior Cory Thomas is another key depth peice for the Bulldogs in 2018. His physicality will play a major role in creating lanes for his teammates. His playing time was very limited last year due to a foot injury, but he is expected to be at 100% when the Dawgs kick off against Stephen F. Austin on September 1st. Braxton Hoyett is a very exciting player to watch, and I expect him to have a huge impact on the season. I think he has the ability to be a starter, but only time will tell. His 6-3, 310 pound frame allows him to effortlessly move offensive lineman out of the way, and he has had a very impressive spring and summer. Hoyett seems ready for a breakout season going into his Senior year.